A seemingly random selection of symbols is featured on the 5 reels of Aristorcrats’ More Hearts pokie. Alongside the playing card icons, we see flowers, birds, cash, leopards and so on, which could be representing things that many people like, or could just have been plucked out of the back catalogue of images that they had lying around. Still, it looks quite nice and with hearts turning up to tie in the theme and reward players with some loveable bonuses, this game could be one to try out at the many online casinos which carry software from this Australian developer. A blue background image, decorated with hearts is designed to set the mood, complemented by even more blue across the reels, with the colourful symbols landing across 25 or 30 paylines. This unusual feature is possible because any player who has activated all 25 of the main paylines will be given a ‘+5 Extra’ ante bet option which sees a further 5 lines added, without them appearing on the reels. It improves the return to player ratio but at an extra cost, so the benefits are marginal, but taking this option will reward extra free spins whenever the bonus round is triggered. The potential bet range is from 0.01, which will only activate 1 of the 25 lines, to 50.00 per spin, or 60.00 if the +5 Extra feature is used. It’s a pretty good range and one that should suit all but the biggest of bankrolls. Payouts come from landing matching symbols across an active line, which need to be on adjacent reels running from the left side, apart from scatter wins which can pay in any positions. 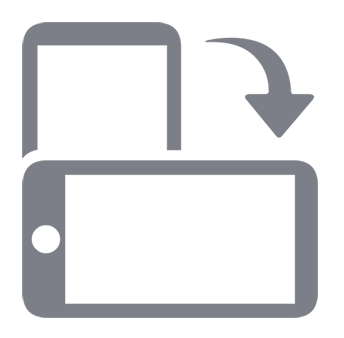 A schedule of potential winnings is provided, with the 9 playing card icon being worth 5x, 25x or 50x the bet per line when it stops on 3, 4 or 5 reels across an active line. The most valuable card symbol is the A, which pays 25x, 100x or 500x for the same combinations, while more is awarded for landing the picture symbols. These, in order of value, are a present wrapped in cash, a blue butterfly, two birds on a branch, an orange rose and a leopard which only needs to be on the first 2 reels and is valued at 5x, 50x, 300x and 1500x the line bet depending on how many appear. A heart symbol will also be seen, but although it has no value on its own, the true worth will become apparent during the bonus games. A big diamond is a wild symbol, which will help to create winning combinations by acting as all except the scatter and bonus, while also being worth from 25x to 2000x the line bet when landing across the reels on its own. The More Hearts game logo is a scatter symbol which will award 2x the total bet per spin when landing in 3, 4 or 5 positions, and then players receive 12 or 15 free spins, depending on whether or not the +5 Extra feature has been activated. The free spins can also be randomly triggered at any time. This round can be a highly rewarding feature, as players will initially see the spins play out on 2 sets of reels, which in effect gives them 24 or 30 attempts to land prizes. During these spins, each time a heart symbol appears, it will be recorded on a Heart Meter and if 9 are collected, a third set of reels will come into play for any remaining spins, while the right-side reel on each set will become fully wild. If a total of 14 hearts are collected, a fourth set of reels is activated and with the 2 on the right becoming fully wild on each set, while getting a total of 30 hearts turns 3 reels wild for lots more winning chances. 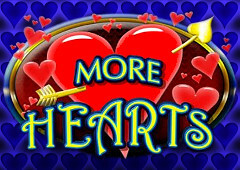 More Hearts may be a little unsure about what theme it wants to take, but look beyond this and we see an exciting pokie that can be exceptionally rewarding during the bonus round. OK, so it’s a lucky player that collects 30 or more heart symbols to trigger all 4 sets of reels with loads of wilds, but even the beginning of the round sees 2 sets in play, so it’s a pretty good feature. Wild substitutions and scatter wins are fairly standard fare, but welcome nonetheless, while the +5 Extra option improves the RTP by around 6%, so could be worth taking even though it costs a bit more.